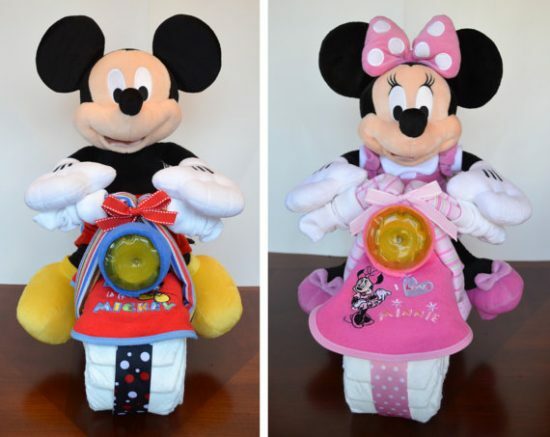 You will love this adorable Wagon Diaper Cake Tutorial and we have a video to show you how. Check out all the great ideas now and be sure to Pin your favorites. If you are looking for the cutest idea for a Baby Shower or gift, we have a collection of inspriation that you won’t want to miss. The focus of our post is the Wagon Diaper Cake Tutorial. 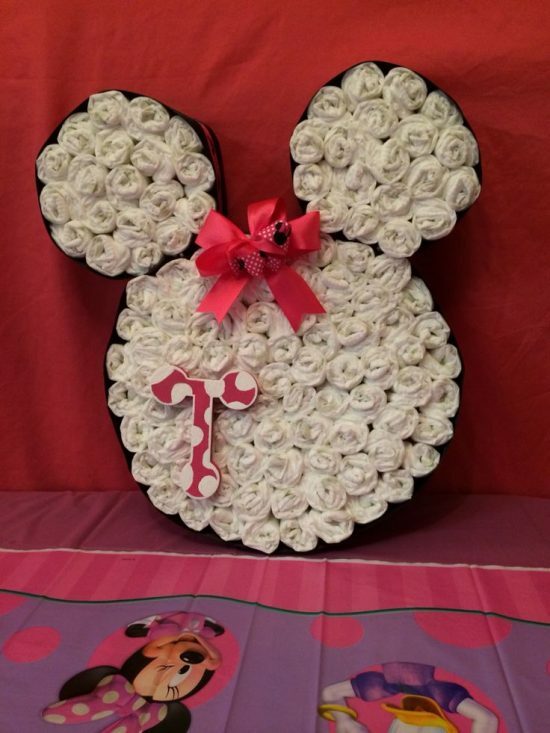 It’s one of a number of great ideas that you will find and don’t you just love the one above that we found on Facebook that is made by Diaper Cakes by Diana. We just love the Minnie Mouse element. 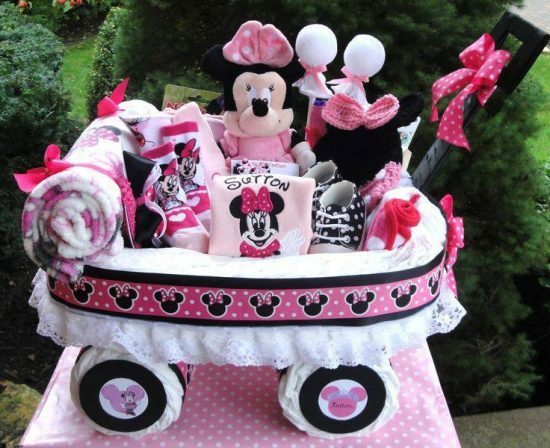 You can include all sorts of things in your Wagon Diaper Cake. Baby Lotion, Baby Bottles, Diapers, soft toys, bubble bath, onesies, bibs, receiving blankets, photo frames or a baby book to name a few. 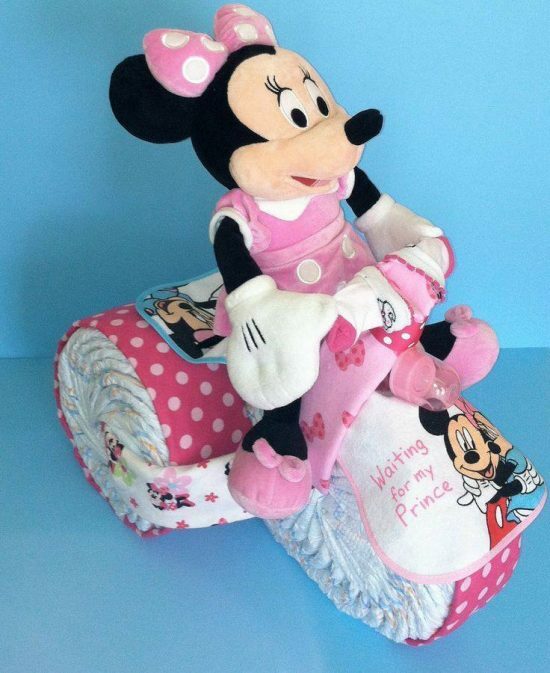 We found this incredibly cute Minnie Mouse Diaper Cake on Pinterest and you can personalise with Monograms and bows and ribbons. You can also make a Mickey Mouse version too.